Surrounded by lush foliage, rolling landscapes and unspoiled walking trails, the 211 acre former Boy Scout Camp is now home to Plymouths newest, most desirable communityThe Residences at Elbow Pond! 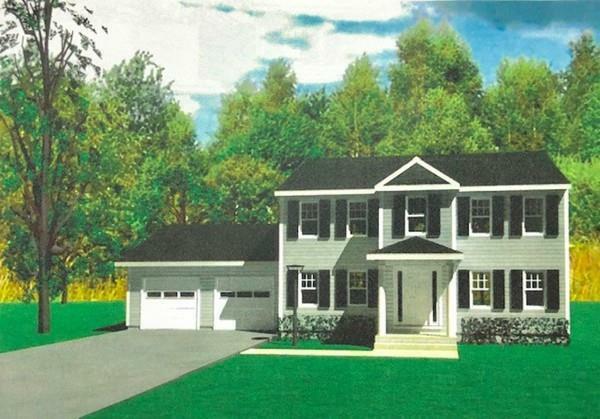 60 homes of traditional New England Architecture to be built and set on curving streets and private cul-de-sacs that were carefully designed to respect the contours of the land and oriented to provide views of open space in a natural, neighborhood setting highlighted by Elbow Pond. The Sherburn offers 4 bedrooms with an en suite master, 2 1/2 baths, eat in kitchen with granite and stainless steel appliances and tile/hardwood/carpet floors. Exterior features include low maintenance vinyl siding, asphalt driveway, 12' x 16' stamped concrete patio and professionally landscaped grounds! Community wide access to Elbow Pond for swimming, fishing and ice skating. Reserve now and choose from 5 house plans, lot and finishes from our builder inventory. Listing courtesy of Mary Jane Schneider of Coldwell Banker Residential Brokerage - Plymouth. Disclosures Builder Reserves The Right To Modify Any Of The House Plans And Specifications And Substitute Materials Of Equal Or Greater Value. Team Member Related To Seller. Listing provided courtesy of Mary Jane Schneider of Coldwell Banker Residential Brokerage - Plymouth.